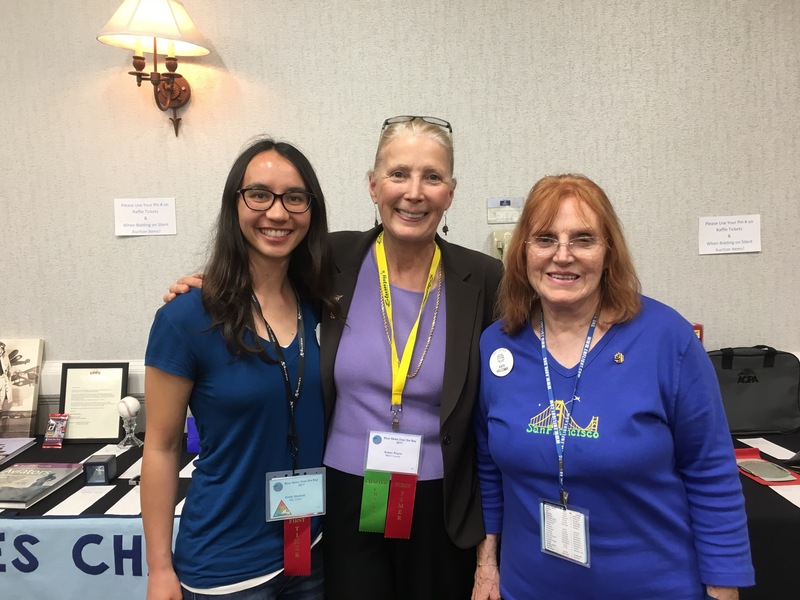 Representing the Marin 99s at the recent Spring Southwest Section Meeting at Oakland on April 27 – 30 were Val Westen and Sue Royce. The Bay Cities Chapter did a stellar job organizing the event, which included several days of seminars, tours, cocktail parties and capped off with a lovely/lively banquet. 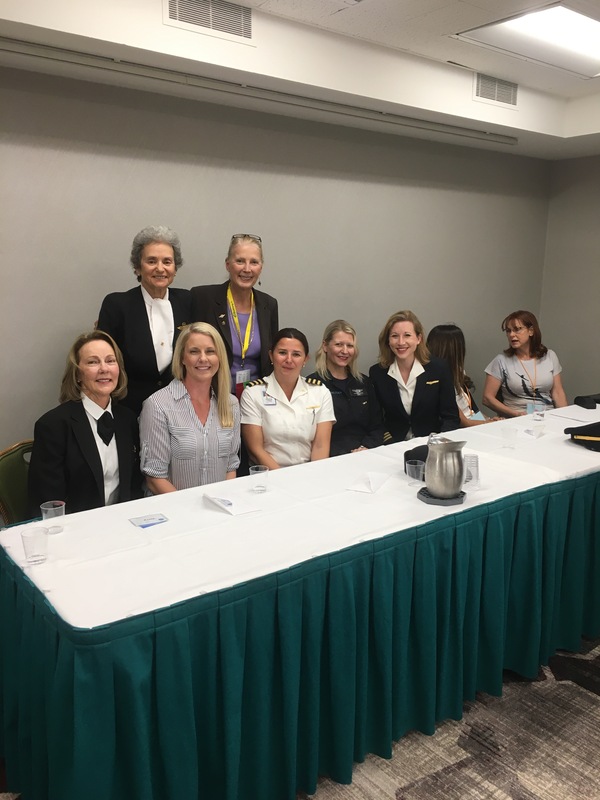 In photos, Sue with the Professional Pilot Panel. Also, Sue with Emily Stednitz, our recent check ride scholarship recipient and Kath Holcombe, Treasurer of the Bay Cities 99s.